This week’s pattern included in the latest edition of the Clean & Crafty Free Pattern series is different – and actually in the shape of a flower. 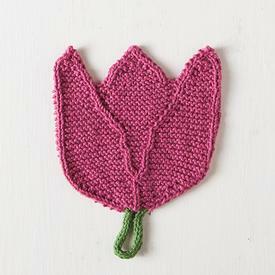 It is the free Tulip Dishcloth, designed by Allyson Dykhuizen is so pretty. I am loving the i-cord looped stem, which is great for hanging.